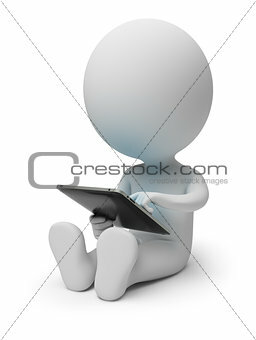 Image Description: 3d small people with tablet pc. 3d image. Isolated white background. XXXL 33.7 x 44.6 cm 13.3 x 17.6"